The rumours of Windows 8 started last year with a couple of slips from OEM partners and a bit too much said by Steve Ballmer at a developers conference. So when the launch in October was finally confirmed it didn’t come as a shock to most resellers or customers. But in the last few weeks of the run-up of the launch the one thing you could be forgiven for is wondering where the excitement was. The acrobats scaling the side of buildings and the national newspapers sponsored for a day might have worked in the past for Microsoft but with the clock ticking on the launch there just didn’t seem to be much noise being made in the market. Some of that was no doubt a consequence of the concerns analysts articulated around the risks that migrating would cause customers. There has also been much deliberation on how touch – one of the key features of the operating system (OS) – will go down in the corporate market. But of course for the reseller the marketing buzz and analyst theories will not be the issues at the forefront of customers’ minds. They will want to hear a reasoned pitch around the Windows 8 launch. For plenty of resellers the irony of the Windows 8 pitch is that it will continue promoting the Windows 7 story. A lot of customers are still migrating away from XP and, with one eye to the future, a lot of the positioning of Windows 7 will be as a stepping stone at some point in the future to Windows 8. Secure Boot is a feature enabled by UEFI, which replaces the traditional PC BIOS found in previous version of Windows. Security features are exceptionally important and the risk of losing data because of malicious viruses can prove catastrophic. The enhanced security features of Windows 8 brought about by Secure Boot are designed to prevent such viruses and unsolicited programs initiating on your PCs before Windows 8 and all of its built-in safeguards are launched. One major change to Windows 8 is the improved start-up times and faster performance. This will allow you to get on-task far quicker than previously, reducing the amount of wasted time waiting for the system to load up. There are various user reports online testing the performance of Windows 8, showing boot times of 12 seconds with a HDD, or 8 seconds from an SSD – a notable improvement on Windows 7. User Roaming Profile has been devised to address the challenges in today’s multi-user and multi-device environment. User Roaming Profile allows you to synchronise your profiles, settings and apps so that, regardless of where you are, you’ll still get the same end user experience. When the user logs in to another device with the same ID, the settings are downloaded from the cloud and synchronised with the local machine. Windows 8 Bitlocker now comes as standard on all Windows 8 Pro devices. For PCs that have Trusted Platform Module (TPM) – most of PCs come with TPM as standard – there is now an “out of the box” software encryption solution to make data security a priority in all educational institutions. Everything that runs on Windows 7 will also be capable of running on Windows 8 too, meaning you won’t need to upgrade your ICT suite just to accommodate Windows 8. While many may still be cautious about the upgrade to Windows 8, it is set to bring a no-compromise experience across all PC devices. That might well deal with the software side of the pitch, but where there should be immediate action is on the hardware front. Microsoft has rallied its OEM partners to get behind the OS launch and cool, sleek and well-designed products have started rolling off production lines with logos from the likes of Lenovo, HP and Dell on them. Most of these devices take advantage of touch and have been built to appeal to the user’s need for something that looks good in both the boardroom and the living room. A lot of newsprint will be inked over the Surface tablet but resellers might also want to use Windows 8 to make a hardware pitch for other technology options. Duncan McAuley, purchasing director of VIP Computers, thinks this might be the ideal time to make the case for the ultrabook. “The Windows 8 launch will certainly stimulate spending in the channel but also create huge opportunities for multiple devices allowing total and seamless connectivity,” McAuley says. “Touch screen displays will be a big winner for vendors. Therefore, no pitch for Windows 8 would be complete without mention of ultrabooks. “Ultrabooks are super-slim, super mobile notebooks — essentially the PC market’s response to Apple’s MacBook Air. Ultrabooks have had a slow start, but it’s still early in the game. Resellers must mention the synergies between Windows 8 and ultrabooks, as users seek to create and manage content on touch-powered ultrabooks and other form factors. “Analysts IHS are predicting sales of ultrabooks to hit 44 million in 2013 and those numbers are arguably nothing to sneeze at. With Windows 8 just around the corner, getting a consumer to pick up an ultrabook certainly will become an easier sell, compared to a PC. The hardware pitch will be helped by the likes of Intel throwing some weight behind the ultrabook push and it might just be a fresh message – that avoids yet again talking about tablets – that appeals to users. With hardware there are of course other opportunities that arise, which will give resellers with management expertise some opportunities. “For channel organisations, customers that are investing in Windows 8 will fall into two camps: those that want new hardware with Windows 8 pre-installed or those that want to migrate their existing machines to the latest Microsoft OS,” says Seann Gardiner at Dell KACE. That leads Gardiner into the first area where resellers might well want to pitch solutions around Windows 8 with systems management a good option to push. “Adding comprehensive systems management solutions can help the end user manage both these scenarios. In addition, the partner is offering a more comprehensive service to the end user and one that is more profitable as well,” he says. “Software distribution and configuration management are two areas that customers will have to consider. Selecting a single solution that delivers both functions reduces the amount of new knowledge to learn and will ensure that every machine is managed centrally, and reduce future systems management overheads. “Another consideration for the customer is the ability to remotely perform PC and device inventories. Being able to effectively carry out upgrades and migrations relies on accurate hardware and software inventory information. These functions can also be used to monitor license compliance on an ongoing basis, after the OS upgrade has taken place. One other obvious area is security. Most users will look at Windows 8 not just with questions about improved productivity, flexibility and ease of use, but will also want to know how secure it is. Microsoft has done plenty of work on making its software applications more robust to hacking attacks but that doesn’t mean there isn’t a chance for resellers to add some additional value by putting together a security solution for the customer. 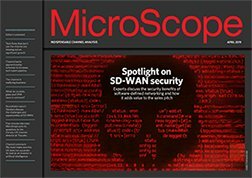 A spokesman from Wave Systems argues this is a good time for resellers to start talking about hardware-based security. Going for the embedded option is something that could work well with Windows 8. “The Windows 8 launch means that hardware-based security will become a practical option for enterprises, but that doesn’t mean enterprises need to make a massive pay-out to benefit from embedded security. All Windows 8 devices will be shipped with a Trusted Platform Module and over 600 million devices already contain a TPM,” says a Wave spokesman. “The TPM provides a secure bolting mechanism which implements a three-factor application – providing a single point of access to enterprise VPNs, single sign-on and single sign-off. The TPM stores the signatures of critical start-up components of the machine, and the ones that are most important are used early in the boot process, before antivirus initiates. “By managing the TPM the enterprise can check the health of pre-boot BIOS, ensuring the device has not been altered since its last connection to the network. One of the most important features on Windows 8 is remote attestation – that means trusted third parties will be able to manage the TPMs for enterprises,” points out the spokesman. Duncan McAuley, Purchasing Director of VIP Computers, has a tick list of points resellers can reel off to counter the inevitable “why should I upgrade?” question from customers. Having hardware-based security could also save customers a few pounds, adding to the reasons to add that into the Windows 8 pitch. The expectations might not be for a surge of businesses to start buying the OS but hope are higher for consumers. In the age of consumerisation that means Windows 8 will find its way into the workplace quickly. Resellers have several options beyond just selling the software and a licence and as the suggestions here show, there are going to be opportunities to push security, management and hardware platforms in the next few months. Things could get more exciting still if the corporate world comes back enjoying touch. That could lead to more hardware sales and even greater opportunities for resellers managing a wide estate of devices for customers. It is still early days but resellers need to be talking about Windows 8 and thinking about how it will give them an angle to sell products and services to customers for the rest of this year and well into 2013.